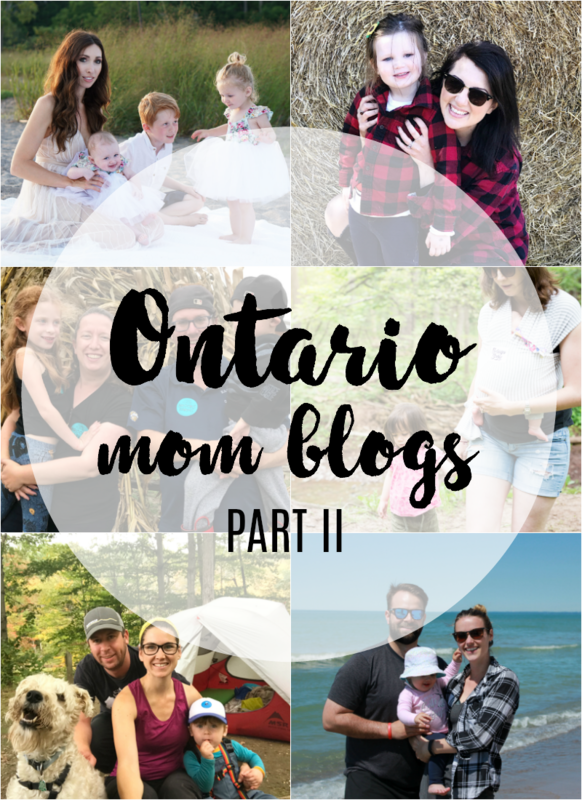 Today, I am excited to introduce you to Part II of my tribe, and my favourite Ontario mommy bloggers. Yes, its a big enough tribe to warrant two parts. 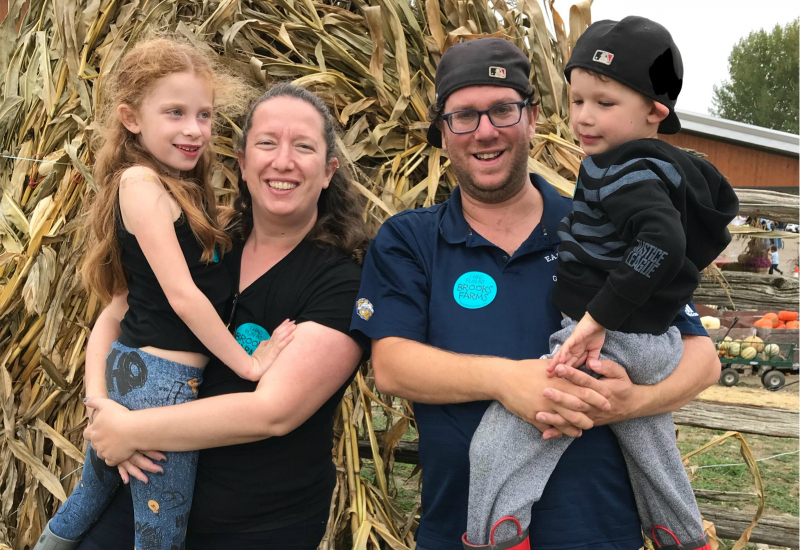 But, a big tribe also means that it is a big supportive community of moms that blog, while finding time to juggle all of their other responsibilities in life. Like I mentioned in Part I, these women truly are the pros, and women I have truly enjoyed getting to know. And now, hopefully you will too. What is your blog about? Mostly my life as a newish Mom. I talk about the good and the bad, including mental illness and miscarriages. How/when did you start blogging? I have always journaled and have imagined about sharing my experience with Mental Illness. After writing a guest posts for my friend’s Erica’s Blog on my post partum psychosis I became inspired to start my own blog. I published my first post on January 1st of this year. What is your favourite thing about blogging? Having a place to share my thoughts and experiences beyond my journal. When it comes to blogging, what are 3 things you can't live without? My journal - it’s where I brainstorm ideas and write rough drafts. My camera - I love that blogging has pushed me to actually use my DSLR instead of just snapping pics on my phone. Coffee - I love sipping on a hot coffee as I type away on my lap top. What is your favourite place to get outside and explore in Ontario, and why? Most of the time we stay pretty local and explore the various trails Oakville has to offer. 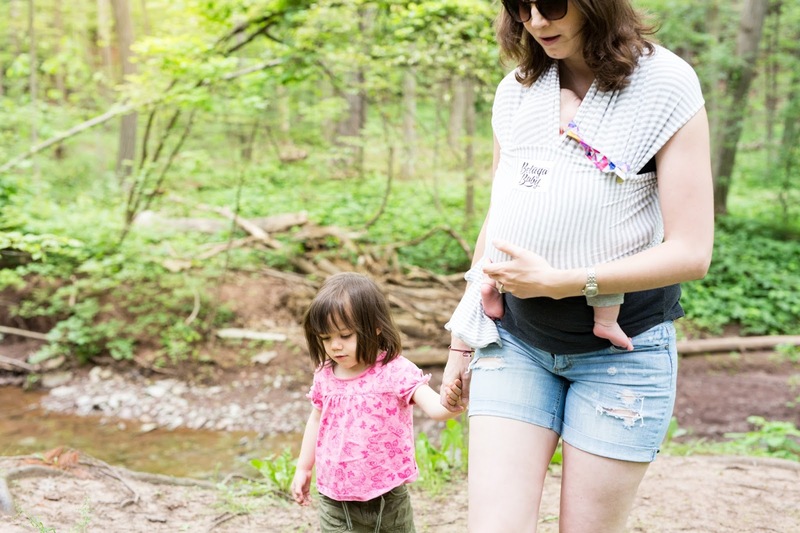 My husband and I love wearing both our little ones in our carriers for these small adventures. Some places I would like to take the family to visit are Elora Gorge and Prince Edward County. I loved camping at Elora Gorge in the past and tubing down the river. Prince Edward County has been on my bucket list for years. Describe yourself in 3 words. Ambitious, quirky and easygoing (this is what I hear a lot so I'm going with it). What is your blog about? My blog is about makeup. fashion and mommy moments. Since becoming a mom myself I found myself to be inundated with questions from new and young moms regarding their makeup and skincare routines. I underestimated how much a baby changes our daily routines until I had one myself. How/when did you start blogging? I had the idea for the past 2 years but only started it in July this year. What is your favourite thing about blogging? I love having the opportunity to share information with women who are in the same boat as me all over the world. When it comes to blogging, what are 3 things you can't live without? My best friend Laura because she edits everything for me, the support from my tribe and my iPhone. What is your favourite place to get outside and explore in Ontario, and why? I'm a city girl through and through. my absolute favourite thing to do is walk around the downtown core of Toronto exploring stores and restaurants. What is your blog about? My blog is about parenting - sharing stories of being a mom to two kids, products we love, and experiences we've had. In 2015, I was diagnosed with breast cancer so I share about that too. What is your favourite thing about blogging? This is a hard one because there are so many! I would have to say amazing experiences I would have otherwise not have! One highlight is meeting P!nk a few years ago! What is your favourite place to get outside and explore in Ontario, and why? In Georgina. We spend our summers at a cottage in Keswick and there is something so amazing about near the water all day. And the sunsets we see nightly are amazing! Describe yourself in 3 words. Loving. Driven. Balanced. What is your blog about? My blog Mostly A Mother is a lifestyle blog about Motherhood, Food, Fashion and Travel. How/when did you start blogging? I started blogging when my son Owen was about 2 years old. It started as more of an online journal/keepsake for me. Soon after I was approached by different companies to work with and it turned in to a business while I continued to make memories doing everything that I love. What is your favourite thing about blogging? I love making connections with other people. I was the first out of my close girlfriends to have a baby and sometimes I felt really alone. It was nice to be able to share my challenges as a new mom, give fun tips and have people respond with their own experiences. When it comes to blogging, what are 3 things you can't live without? My family, my camera, my iPhone. What is your favourite place to get outside and explore in Ontario, and why?vToronto is easily my favorite place in Ontario. I have so many wonderful memories there including the night I met my husband at the Thompson Hotel. Whether you’re travelling alone, with your kids, friends or partner, Toronto has something for everyone and there is always something exciting going on. Describe yourself in 3 words. Hiking camping mama. What is your blog about? 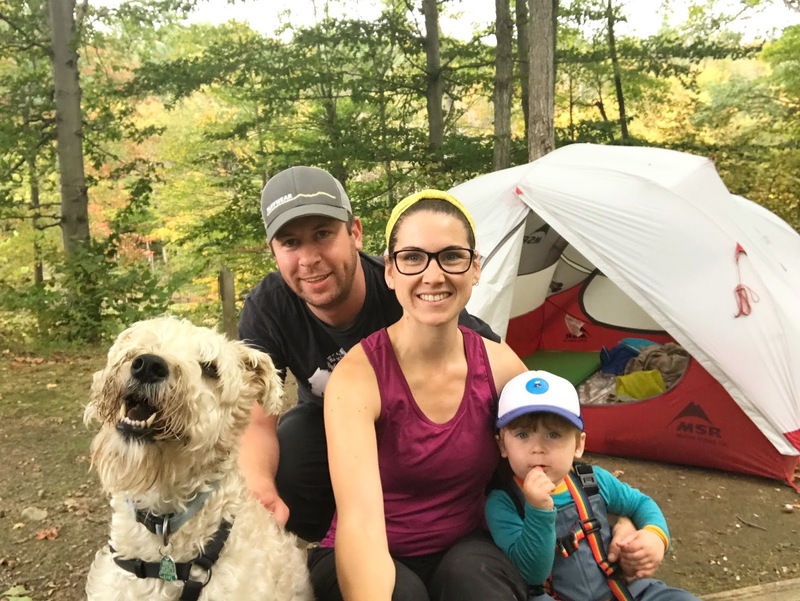 "Maman on the Trail" is a blog about the big and small adventures of myself, my husband, our toddler and our dog as we delve into the world of parenting, on and off the hiking trail. My blog's tagline is "Hiking. Camping. Parenting." but it’s much more than that! Blog posts include product reviews, anecdotes, recipes, tips & tricks and giveaways. And topics range from hiking and camping to cloth diapering, babywearing and other eco-friendly lifestyle choices. How/when did you start blogging? I started blogging when my now 22-month old son was only 2 months old. 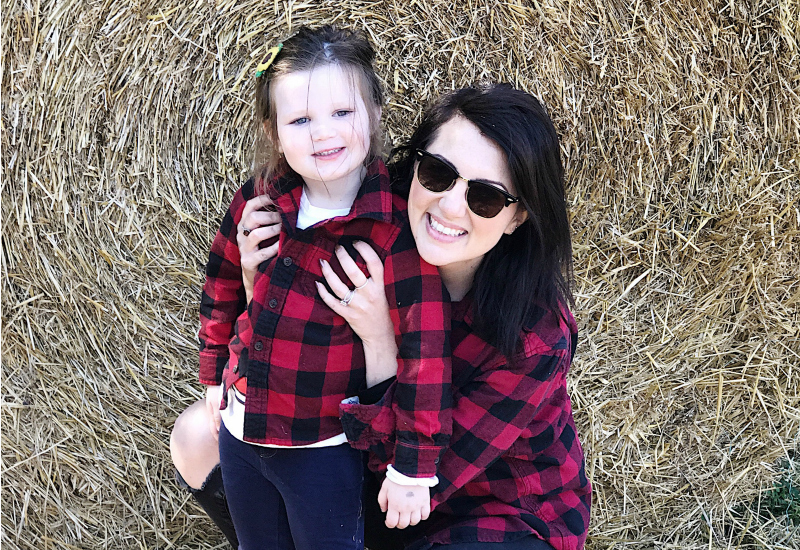 I had been wanting to get into blogging for a while and loved reading the blogs of other moms, so I knew that motherhood would be the perfect jumping off point for me. Between my love for my son and my love for the outdoors, I found my niche and have been happily blogging away ever since. What is your favourite thing about blogging? My favourite thing about blogging is connecting – connecting with nature, connecting with my son, connecting with other parents and other bloggers, and having folks come back and tell me that all of these connections have in some way inspired them to make more connections themselves, with their kids, with the great outdoors, with me. When it comes to blogging, what are 3 things you can't live without? My laptop, my phone (it's also my camera), and the great outdoors! What is your favourite place to get outside and explore in Ontario, and why? Because of the fact that my blog is centred around getting outside, I get asked this a lot. I absolutely love everywhere that we get outside, but I think if I had to choose I would say Frontenac Provincial Park – it is our nearest provincial park and has everything we need in terms of hiking, camping, paddling, exploring, etc. We never feel the need to wander farther, but do because time away from FPP makes us love it all the more. And is it wrong if I throw myself in for good measure? After all, part of being successful is also believing in yourself first? Describe yourself in 3 words. Loving. Easygoing. Courteous. What is your blog about? To & Fro is a lifestyle and parenting blog where I share my two biggest passions in life - my family and the outdoors. Readers can find family friendly recipes and activities, outdoor adventures, parenting tips, reviews of places and products my family loves and more. How/when did you start blogging? To & Fro got its unofficial start in 2010 when an unexpected move took my then hockey-playing boyfriend and I over 4500 miles from home to Alaska. We lived there for three years, eventually moving back to Toronto where it continued as a journal. It didn’t become a serious side hustle until we were getting ready to welcome our now 19 month old daughter. What is your favourite thing about blogging? Hands down the connections I’ve made. Sure, free product and being able to create additional income for my family is not bad. But I truly would not be able to do that without the connections I have made in this industry, and the tribe I have surrounded myself with. When it comes to blogging, what are 3 things you can't live without? My laptop, my camera and my family (after all, they are my inspiration for most of my posts!). What is your favourite place to get outside and explore in Ontario, and why? There are so many great places to explore in Ontario! 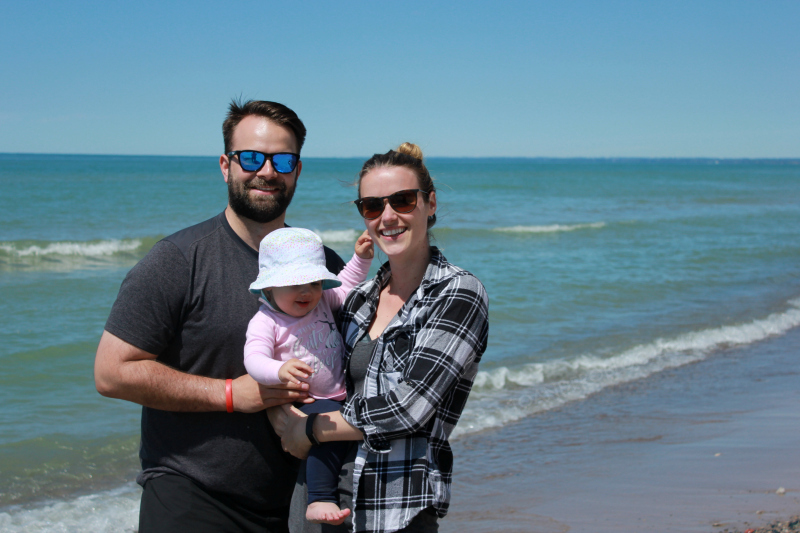 Having grown up on Lake Huron, my favourite place to get outdoors is on the shores of the lake, either at my parents house or at our family cottage on the Bruce Peninsula. Fathom Five National Marine Park on the Bruce is also one of my favourite places to go scuba diving. Who makes up your tribe? I'd love to hear!